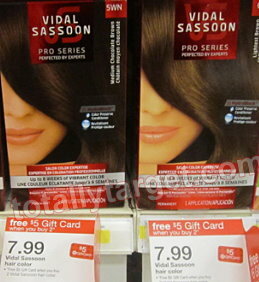 Right now at your nearest Target you can get Vidal Sassoon Hair Care for only $3.49! This is a great price on high-quality hair color products. $6.98 for 2 or $3.49 a piece!